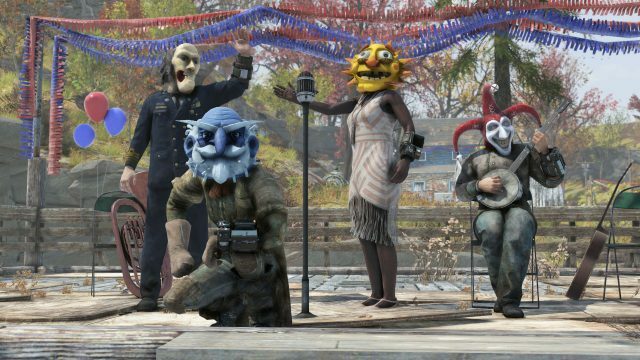 Bethesda are rolling out a new event this March called Fasnacht, celebrating a townsfolk tradition which has now been adopted by the bots that roam the town of Helvetia. Fasnacht is an age old tradition celebrating the founding of Helvetia in 1869, the inhabits of this town used to adorn eye catching masks, as well as burn an effigy of Old Man Winter. Now that the towns people are long gone, the bots are still taking on the tradition each year. Players will be able to take part in this repeatable, limited-time event quest, available for one week from March 19th until March 26th. To commence the quest you will need to speak with the Master of Ceremonies in Helvetia. Your task will be to find and aid the town’s robot shopkeepers, in preparing for the yearly parade. Setting up for this monumental occasion will require various tasks, including taking up the limelight on stage to perform a cheery tune, using your sophisticated eye to choose decorations, or getting rid of some pests as well as much more. Completing these party tasks will allow the Protectrons to march in the parade. However, all this fuss may attract the wrong attention, there may be a few ready to crash the party. You will need to protect the marchers as they set out on their parade route, and successfully set ablaze Old Man Winter. Players will gain some loot and earn a festive Fasnacht mask for their very own. To increase your success of gaining yourself rewards, try to keep as many parade goers alive as possible. There are many masks to gain and are can be traded. 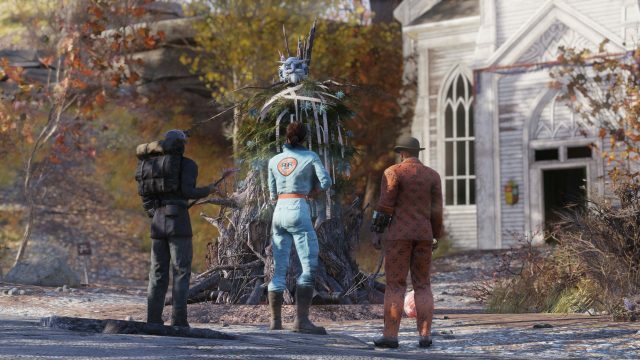 Fallout 76 is currently available to play on PS4, Xbox One and PC. 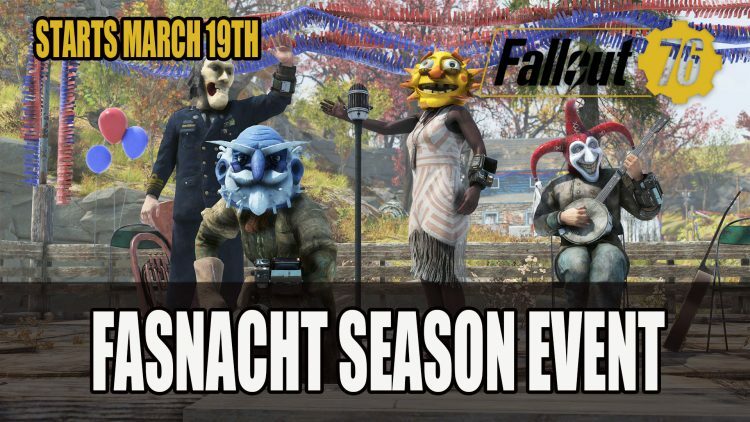 Fasnacht Parade arrives on March 19th, along with the new Survival mode which arrives on March 26th.